The catalogue of the kartfair 2019 is available at the information. Inside this catalogue, hall- and stand-plans, post adresses of exhibitors, product description, list of events, the date of the fair 2020 and further information about Karting can be found. 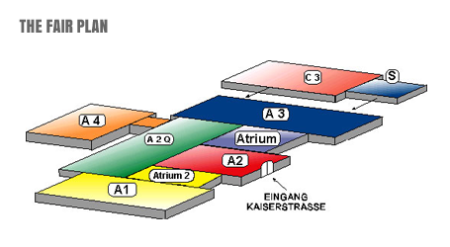 The route to the big fair-restaurant and to the eventcenter in the second floor of hall A3:elevator/lift or staircase in hall A3 (ground floor) next to the passage between hall A3 to hall A2-Atrium.